This song is from the film A Little Princess. The song was written by Patrick Doyle . Recorded by Karliene. 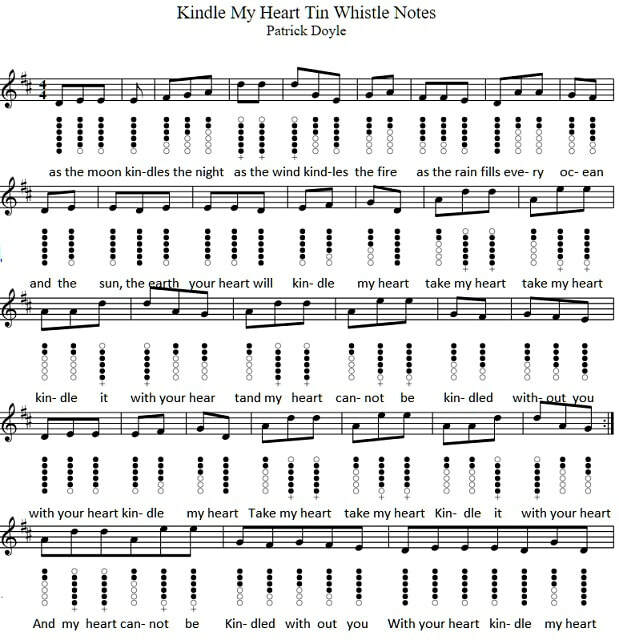 The tin whistle notes are in the key of D and the letter notes are included which should be handy for recorder or flute players.